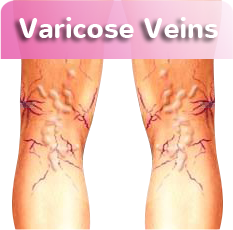 There are certain factors that may lead to the development of varicose and spider veins. The most distinct factor is genetic predisposition. 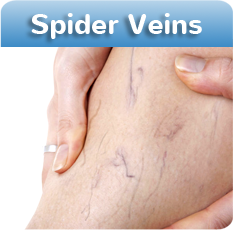 Varicose and spider veins can be passed on from one generation to the next and often times individuals will not be aware of the condition until it appears on their own body. Additionally, predisposition of genetics combined with lifestyle choices such as smoking or a poor diet can accelerate varicose and spiders veins appearance, potentially making them worse in the process. Problems with leg veins typically begin when a vein’s valves prevents blood from flowing, causing them to not function properly. This effect will cause blood to remain in the vein, which then forces the vein to protrude from beneath the skin becoming and become visible to the naked eye. Additionally, vein issues worsen with multiple pregnancies, in less active occupations and if standing for long periods. Most are genetic – if they are in your family, you are likely to get them. 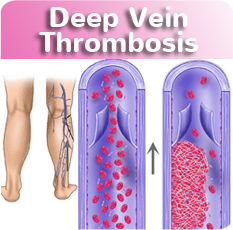 Also, vein problems like blood clots & damaged veins may interfere with a crucial role that veins play in the cardiovascular system. Veins are like the highway system from blood, helping it return to the heart and lungs where your body’s blood can be reloaded with oxygen our so that your body can survive & flourish.